Turn to Cool Express Service Inc. if you’re searching for a company that offers high quality yet affordable residential HVAC services. We understand that an air conditioning system is an essential part of modern life. Our HVAC experts pledge to provide our clients with reliable maintenance and repair work every time. No A/C installation work is too small or big for us. We aim to efficiently install any residential HVAC system within your time frame. Our professionals are trained to finish jobs quickly without having to rush them. You can trust that we only offer uncompromised residential HVAC services. Malfunctioning A/C? We have you covered. 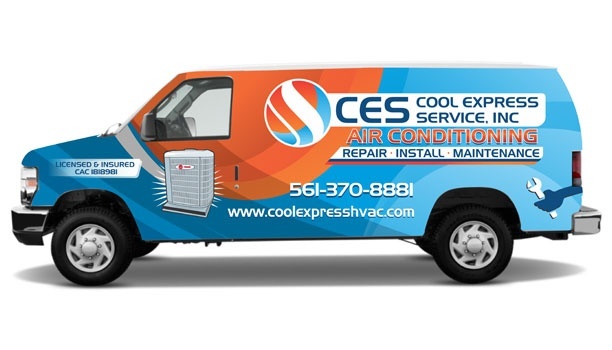 At CES, we understand the urgency to repair a home cooling system that is unable to keep up with the heat. Our experts can service all makes and models in a short amount of time without sacrificing quality. If you feel that your home air conditioning system is wearing down, don’t worry. We’re here to help. You can trust our trained technicians to discuss with you the best air conditioning solutions for your home, including replacement. You can also choose from our wide selection of models that best fit your household. Maintaining an HVAC system is important to keep it in top condition. As a maintenance provider of home air conditioning systems, we train our professionals regularly so that they can provide you with unparalleled, quality HVAC services. Our maintenance services at CES include, but are not limited to, annual check-ups, air conditioner cleaning, and tune-ups. You’ll never go wrong with Cool Express Service Inc. when it comes to residential HVAC services. Give us a call or send us an email today to schedule your appointment. You’re now one step closer to experiencing our excellent and efficient service. Just tell us the kind of HVAC jobs we need to do and we’ll start from there.